The panel will address the legal and regulatory issues raised by peer-to-peer businesses like Uber, Lyft, Airbnb and HomeAway. They will also outline safety, zoning, competition and consumer protection issues, and provide perspectives on leveraging the revenue generating opportunities through taxation and regulatory fees. The webinar will include a question and answer period for participants as well. 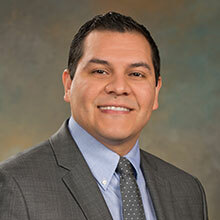 Jonathan Huerta is an attorney with KingSpry who focuses his practice in litigation, education and real estate law. He is the chair of the LGBTQ Business Council of the Greater Lehigh Valley Chamber of Commerce, and a board member of the Cancer Support Center of the Lehigh Valley. Mr. Huerta is a graduate of the University of Texas at Austin and earned his Juris Doctor at the Pennsylvania State University Dickinson School of Law.